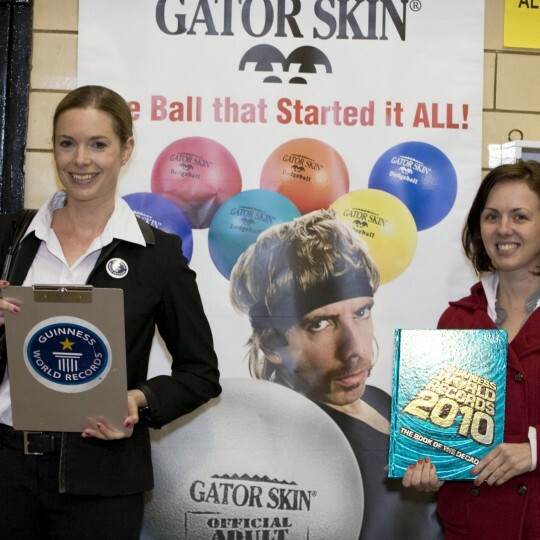 Our biggest Gator Skin® ball ever! 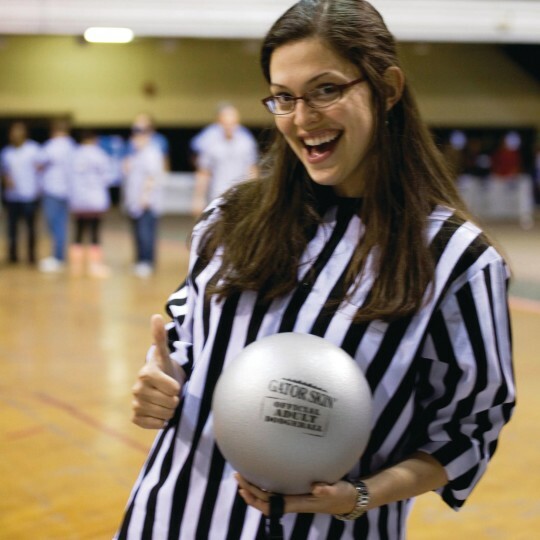 Designed for teen and adult dodgeball games/leagues. Comes in at a whopping 8.3" diameter! High-density foam core and a new proprietary bonding layer. 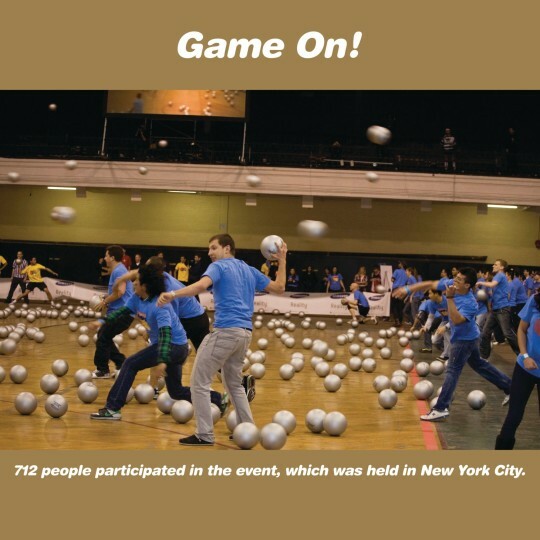 Throw it faster and farther than our other dodgeballs! Bigger, faster, stronger! 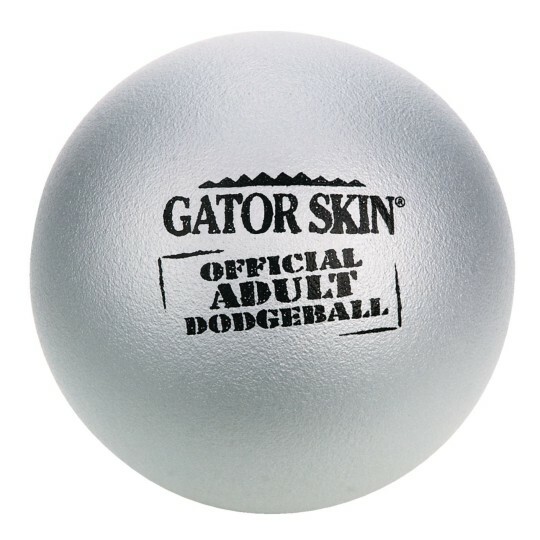 The latest ball in the Gator Skin® family is designed specifically for teen and adult dodgeball games and leagues. At 8.3" diameter, it's our biggest Gator Skin ball ever! High-density foam core and a new proprietary bonding layer, so you can throw it faster and farther than our other dodgeballs. It won't hurt adults and is our most durable ball yet! Each ball weighs about 220 grams. The foam density is 35 kg/m3. Non-sting coating is a proprietary polyurethane. I bought this 5 years ago for my youth group. They play dodgeball weekly the balls have held up. I just added 8 more to our collection. I love these Gator Skin Balls because they are so durable. However these Adult balls are really to big to handle for most high school students. These balls don't fit most of the male students' palms let alone the female students. I recommend the next size down for high school. These dodgeballs are great. We use them for all of our trampoline dodgeball games at House of Air Indoor Trampoline Park. The best ball for all ages. Does not hurt or sting like the red playground balls. I run an adult dodgeball league at my company. 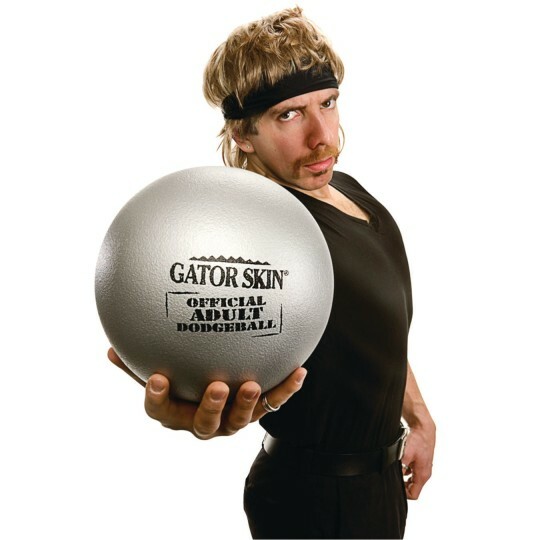 I was sent a pair of the Gator Skin dodgeballs as a possible replacement for the playground balls we usually use. I found the Gator Skins to be too lightweight to throw effectively. 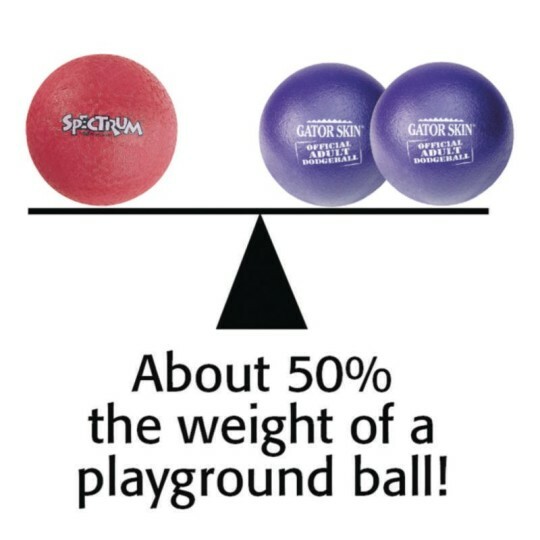 Range and speed of the thrown balls was significantly reduced compared to standard playground balls. They do appear durable but I was unable to really gauge this attribute as they were unsuitable for my league.